There have been lots of innovations surfacing for GPR cards, and one that’s particularly gotten the industry’s attention is savings pockets. 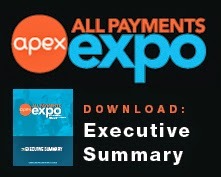 At Prepaid Expo in March, Sarika Abbi, Director of Ideation at D2D Fund, provided some interesting research on savings pockets’ impact on GPR card stickiness and users’ financial health. Now, with D2D’s new report, Paving the Way Forward: Savings On Prepaid Cards, she dives even deeper. Check out the report, and our exclusive Q&A with her below. 1. This recent report has some sobering facts, including that 50% of Americans are not confident they could manage a $2,000 financial emergency. What’s the single most important thing the financial services industry should be doing to turn statistics like these around? The financial services industry can help turn statistics like this around by keeping in mind that helping consumers on a path towards financial stability will be a win-win proposition – consumers that are not liquidity constrained and have stronger household balance sheets will be more satisfied, engaged, and profitable consumers. 2. According to this study, cards with these savings features tend to experience less churn. Is there a barrier keeping more program managers incorporating savings pockets into their programs? One significant challenge is that program managers need others in the prepaid value chain (e.g. processor, issuing bank) able to and comfortable (especially from a risk perspective) with offering additional features such as savings. But there is also a misperception of consumers’ interest and demand for this feature as well as how it can be effectively marketed and designed on a prepaid card to work for both providers and consumers. We also need to think differently about what “savings” and “successful savings” means for consumers. For some, it is about building a reserve for a near or long-term goal but for others, especially more financially vulnerable consumers, it is about having access to a revolving savings pocket – a place where they can set a little bit aside when available but dip into it for short-term needs such as groceries and emergencies. While savings might not stay long in this pocket and might be perceived as non-savings, it is helping consumers address their liquidity needs. A lack of liquidity can be a significant contributor to financial vulnerability for households. And access to savings can help consumers rely less on and slowly transition away from alternatives to savings, such as credit, that can be costly and destabilizing. 3. 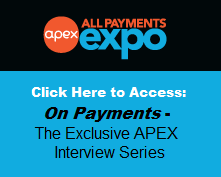 There’s been some resistance from the regulatory community about offering credit or overdraft on GPR and payroll cards. Do those features help users who are in a financial bind? What’s your take? Without addressing the regulatory concerns here, which I assume also incorporates concerns over fees, I do believe offering credit (or a form of credit) could be interesting and a value-add from both the consumers’ as well as providers’ perspective. However, credit would need to be carefully designed and made accessible to address the tension between a need for credit when in a financial bind and access to credit that can be further destabilizing and detrimental to households. So, for instance, it would be interesting to explore credit in conjunction with a savings feature on a prepaid card – made accessible and designed in a way that can and does help consumers in a financial bind. 4. What’s the next step for you and your team’s product innovation and research? Exploring savings on prepaid cards offered through various channels such as retailers, employers and the government to scale access to savings. Designing add-on features, such as a prize-linked savings layer and gamification, to strengthen engagement with savings features by making saving fun and rewarding. Bundling savings on prepaid cards with additional financial products or services, such as credit, that can help address the savings gap when a short-term need arises. Exploring ways to commoditize savings, such as gifting savings, and offering stand-alone savings prepaid cards. 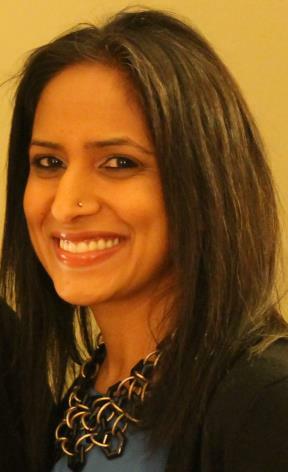 Sarika Abbi is the Director of Ideation at D2D Fund. She works on initiatives to design and pilot new saving products as well as new ways to market and distribute these products to under-served consumers. Prior to joining D2D her work focused on improving financial access for low income households in developing countries. While at Ideas42, she worked with researchers and practitioners in development finance to design financial products and managed a research center and team internationally to pilot test the designs. Before entering the financial inclusion field, she worked in the private sector consulting on executive compensation. She holds a Masters in Public Administration from NYU and a Bachelors of Economics from Univ. of California, Berkeley. Thank you for the kind words. They are greatly appreciated! I'm glad you enjoyed the post.